You know the drill: Send sales e-mail. Wait a few days. Call your lead. Find out they have have already forgotten your message. 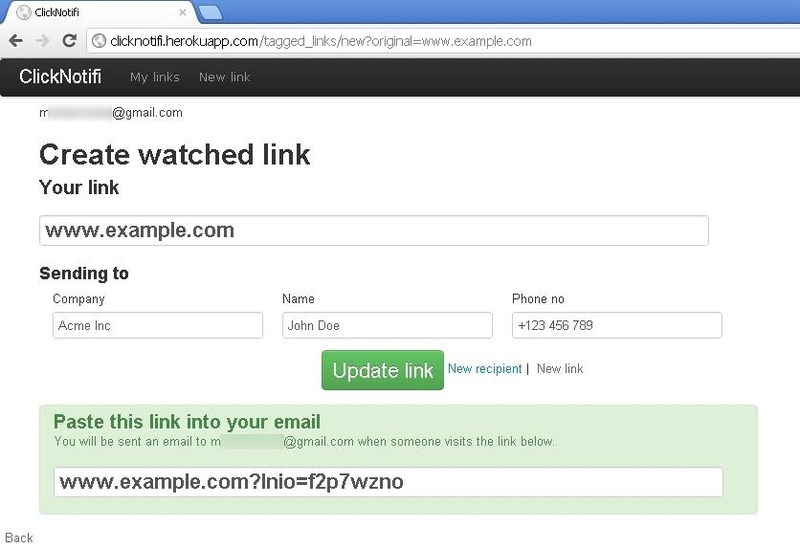 With ClickNotifi you get notified when the customer visits website from your email. Call them while they remember you! It is as simple as adding Google Analytics and needs to be done only once per site. How does the link look like? How are you different from url shorteners like bitly.com? Link from ClickNotifi goes straight to your site. Your client can see where they are heading to which increases chance they click the link. Wheter you need API access, links to PDF files or have other question, please feel free to contact us.